Stansted Airport Taxi Limited provide the best value local taxi company service to and from London Stansted Airport. As we are based on site at Stansted Airport grounds, we are extremely efficient in both inbound as well as outbound journeys. Call us now to book your airport taxi. As we are a local airport taxi hire service based in Stansted, we are able to offer a fast pick up and drop off service at a taxi price that is second to none. Stansted Airport Taxis Ltd specialise in airport taxi transfers to and from Stansted Airport for both individuals and groups. We also offer a professional a punctual airport chauffeur service for the business owner or corporate executive. 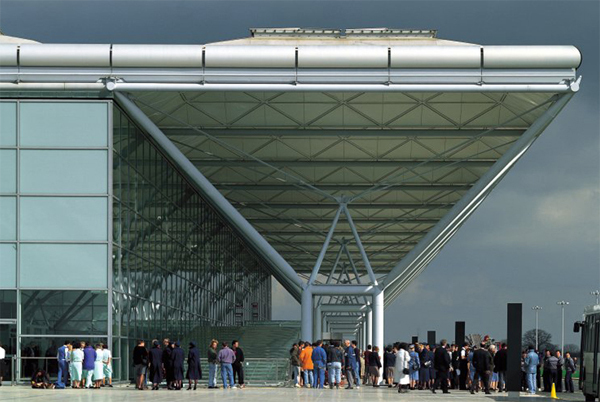 Our flexible fleet of airport cars on hand at Stansted 24 hours a day, 7 days a week, 365 days a year. The fares we offer are extremely competitive. As our prices are fixed before the journey begins, there are no hidden costs so you know what you are paying at all times. For the economy of the client we offer discounted return bookings.once the booking is completed we will reply to you confirming the reserved journey. Our fleet of taxis also have baby seats and booster seats supplied upon request for the convenience of the clients at no extra charge.Modern vehicles we also specialise in Executive airport transfer which include Mercedes E class arrive in style. From the moment you contact us we will do everything we can to ensure that your booking and transfer go as smoothly as possible. Meaning that you will have an air-conditioned vehicle tailored to number of passengers and the luggage requirements specified by you. To ensure the journey goes smoothly your taxi will be driven by an experience driver with proven customer service skills and extensive knowledge of the local area. A Meet and Greet service can be arranged when booking whereby the driver will be in the arrivals with the passenger name or the company name which ever you prefer. A comforting thought,especially for first time visitors in a foreign country. Stansted airport taxi ltd welcomes corporate account customers and subject to credit references,we will be happy to provide you a monthly invoicing facility or direct debit on your airport taxi services. Professional assistance! One of the great advantages of going for professional London Stansted transfer services is definitely the professionalism and the seriousness of the personnel. In other words, you will travel from Stansted airport to London or back in the most comfortable conditions and on schedule.